GMOs: What are Your Thoughts? 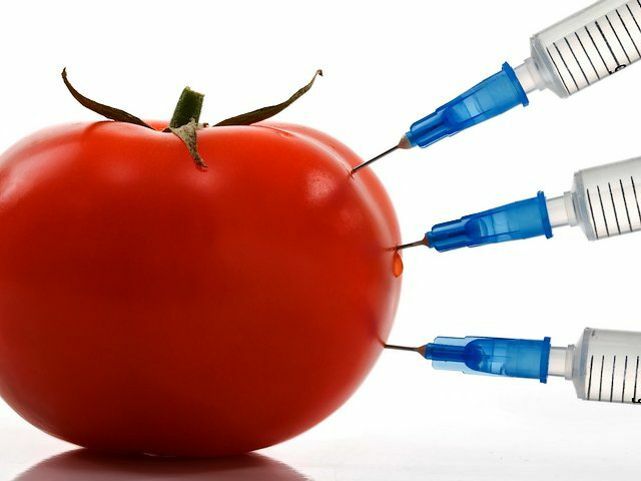 Genetically Modified Organisms, otherwise known as GMO’s, are plants or animals created through genetic engineering. Basically they take DNA from different species and merge them. This usually creates an unstable combination. This has been going on for years in order to create pest-resistant and survive herbicide use. Crops survive more, make more and feed more. So what is the downside? GMO’s are still being researched, and everyone has their own opinion. It comes down to GMO’s being unsafe due to unnatural DNA. We are eating things that are not found in nature. It may take many more years to know the consequences of eating such food. The fear is that the food may pass on the mutant genes to our bacteria in the digestive tract. Until GMO’s are no longer allowed on the shelves, you have to make up your own mind and shop how it is best for you and your family. Here are some reasons why GMO’s are bad. 1. GMOs Never stop contaminating – GMOs cross pollinate and have seeds that can travel. That means that those GMO’s will continue forever, and may even contaminate non-GMO farms. 2. GMO’s increase the use of herbicides – Since they are herbicide tolerant, they use even more to increase production. 3. Dangerous side effects – creating new plants can produce new allergens, toxins, carcinogens and nutritional deficiencies. 4. Harmful on the Environment – GMO’s pollute the water and reduce biodiversity. There are herbicides that have been shown to cause birth defects in amphibians. 5. GMO’s do not increase yield – studies are showing on average, GMO’s do not increase yield. What are your thoughts and experience with GMO’s? Where do you see the future of GMO’s?